Intertwined Safe Trust Financial, Vertexsoft, and P&E Solutions All File Bankruptcy. Blame FTC. 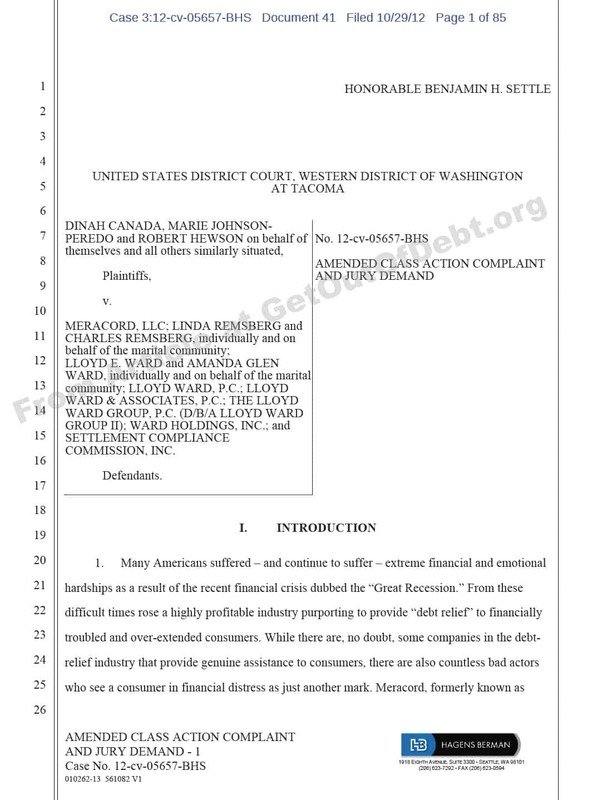 Home > Debt Relief Industry > Intertwined Safe Trust Financial, Vertexsoft, and P&E Solutions All File Bankruptcy. Blame FTC. On February 7th Safe Trust Financial, Vertexsoft Corporation and P & E Solutions all filed for Chapter 11 bankruptcy protection. What follows is a review of the documents filed in that case to date. 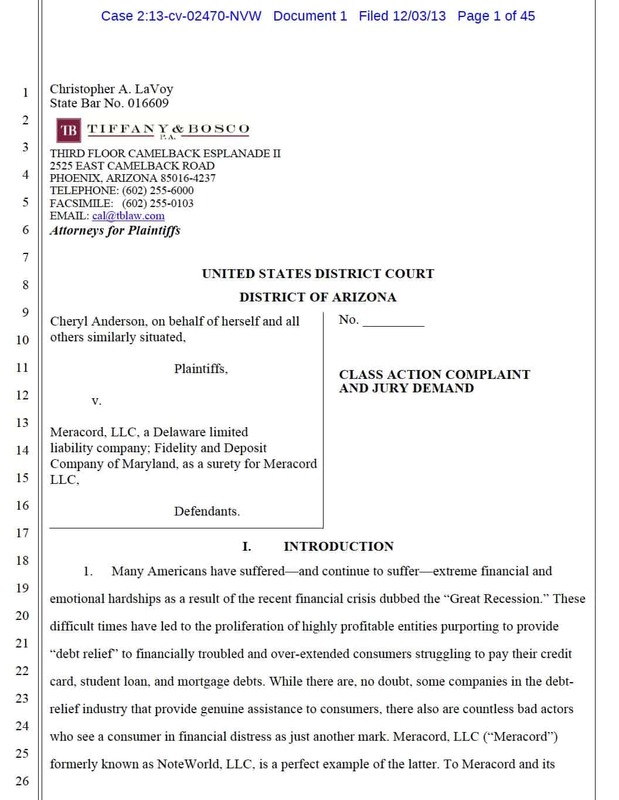 As of the date of this article, the case is ongoing and clients have been receiving notices from the bankruptcy court. Efrain Garcia earns approximately $200,000. Anthony Passero earned $248,079 in 2010 and $0 for 2011. Kevin Ellis earned $0 for 2010 and 2011. Company owns 18 computers, monitors, telephones and desks. Of the 1,350 creditors holding claims appear mostly to be are mostly client refunds and affiliate funds due. Of the 3,300 creditors holding claims appear mostly to be are mostly client refunds and affiliate funds due. P & E Solutions has an office in Cali, Columbia, South America. Company owns 6 computers and 6 telephones. Of the 620 creditors holding claims appear mostly to be are mostly client refunds and affiliate funds due. READ NoteWorld Involved in Georgia Class Action Case on Debt Adjusting. Raises Bigger Issues. It seems to me that P&E and the other corporations are running a fraudulent business. Why are they and their employees not being held criminally liable this is theft. They took our sister’s money and DID NOTHING. They did not contact the debtors or anything. They stole over $3,000.00 from her. We have called the company but they give you a number for attorney Brown Van Horn – 954-765-3166 but his number is never answered. They have a pretty good scam going on here. I can’t believe that they have not been SHUT DOWN. I advised P & E Solutions (Anthony Passero) and Safe Trust Marketing (Efrain Garcia) that they had copied the “Method” we utilized in our process. I did further investigation and found an disproportionate number of hits on our website from the Fort Lauderdale area shortly after we launched our product. I had a credit counseling company sign up for our service under an assumed name during the same week. Each of this visits from this logon also came from the Fort Lauderdale area according to this IP address. I informed Anthony Passero and his IP attorney of this issue on April 8th, 2009, and had an additional discussion on April 9th, 2010. In each of these conversations with Anthony Passero was very evasive about how he arrived at the entire concept. It was only after I spoke with his IP attorney on or about April 12th, 2010, that I was told that no matter what it would be at least three to four years before the patent would be reviewed. Their IP attorney also informed me that they intended to continue to market their product until then and there was basically nothing I could do to stop them. It was only then that I started to investigate Anthony Passero and his previous activities. The one site I found that had the best information on their (Anthony Passero, Efrain Garcia, Kevin Ellis and their minions) was GetOutOfDebt.org. Had more people done their research prior to enrolling with any of their services they most likely would have found this website. After reading the notices you have posted above individuals and companies, they could have saved themselves additional time, money and stress. Thanks for your continued efforts to help consumers who are trying to “get out of debt”. The link to your press release does not work. I had heard this story previously and never reported on it. Was the code replicated or copied or was it just the functionality that was copied? Well itâ€™s about time! We sent this press release on April 17, 2010 regarding a perceived violation of United States Patent law by a Florida based Software company. Now after all parties have filed bankruptcy, were not worried about telling you that P & E Solutions was the software company in the press release. Each of the officers of these companies were all clearly made aware of the potential violation. According to their own press release their software settled 31,290,875 In consumer debt. Under their agreement with consumers, they received $1500.00 for every $10,000.00 in enrolled debt. But I digress, because we do not know how much debt was enrolled, letâ€™s just use their own numbers. Here is the math: $31,290,875 x .15 = $4,693,631.25 in gross income. Now I see that each company states that they all made approximately $6,800,000.00 in combined income. Iâ€™m not one for being cynical, but are any of these numbers real? We create a legitimate product to assist consumers by giving them an option other than enrolling with a debt settlement company, only to have our idea unscrupulously used by the debt settlement industry to deceive consumers. Now after all companies have filed bankruptcy what can we do next? Is it possible to get the Federal Bankruptcy Court or The Federal Trade Commission to prohibit these parties from engaging in further debt settlement operations? Well it’s about time! We sent this press release on April 17, 2010 regarding a perceived violation of United States Patent law by a Florida based Software company. Now after all parties have filed bankruptcy, were not worried about telling you that P & E Solutions was the software company in the press release. Each of the officers of these companies were all clearly made aware of the potential violation. According to their own press release their software settled 31,290,875 In consumer debt. Under their agreement with consumers, they received $1500.00 for every $10,000.00 in enrolled debt. But I digress, because we do not know how much debt was enrolled, let’s just use their own numbers. Here is the math: $31,290,875 x .15 = $4,693,631.25 in gross income. Now I see that each company states that they all made approximately $6,800,000.00 in combined income. I’m not one for being cynical, but are any of these numbers real? And Robby Birnbaum was behind their nonsense too? Took $20K for GM then BKd… So sad. This story didn’t get enough attention. Any DSC involved with TASC-AFCC under Rob’s leadership is “compromised”… Jeeez. Lets rob the clients, do nothing for them and put the money in our new product Vital. This can’t be legal. WHAT???!!!??? I just noticed this: GREENSPOON MARDER???? Robby Birnbaum??? WTF!!! JAIL JAIL JAIL! How can these crooks pay themselves and their family members hundreds of thousands of dollars of client’s money and run away in a bankruptcy? I am not understanding this at all. These guys robbed the American people and their affiliates and then pay themselves, their alternate companies, their family members and hide the rest. PLEASE tell me Kevin Ellis, Anthony Passero and Efrain Garcias are going to jail. This is why the rules and enforcements are so aggressive in this space right now. Scam and fraud like this. Greedy bastards.